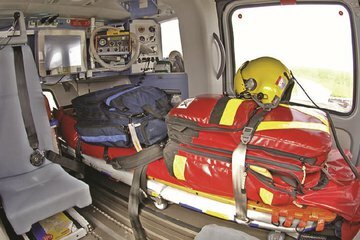 Shephard Media reports from Rotorcraft Asia and Unmanned Systems Asia 2019. The former is a comprehensive exhibition that spans the full rotorcraft supply chain, from airframes, components and parts, to avionics, safety systems, MROs and more. Other event highlights include business and technical conferences, static displays and customer flight demonstrations. 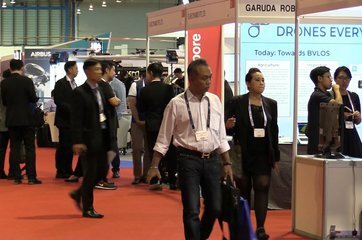 Alongside the rotary event is Unmanned Systems Asia 2019, the premier unmanned systems event in Asia which presents the future of drones across a vast spectrum of commercial and defence applications, showcasing cutting-edge technologies and solutions in aerial, ground, surface and underwater systems. If you are at the show make sure to pick up a copy of the Official Show Daily, which is being producted by Shephard Media, as well as RotorHub and Unmanned Vehicles magazines.